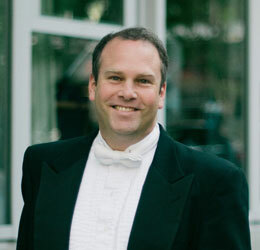 Brian Wismath is music director of Linden Singers of Victoria, Vancouver Peace Choir, Victoria Choral Society, Victoria Conservatory of Music Chorale, Vox Humana Chamber Choir and interim music director of Civic Orchestra of Victoria. With a rich choral background, Mr. Wismath is in demand as a clinician and has served as director of the University of Victoria Chamber Singers and Tucson Masterworks Chorale, associate conductor of Orpheus Choir of Toronto and Chorus Niagara, and assistant conductor of St. Jacob’s Ungdomskör (Stockholm, Sweden), Ontario Youth Choir and Opera in Concert Chorus (Toronto, Canada). A passionate advocate for the performance of new music, Mr. Wismath has commissioned and premiered numerous works by composers from around the world. He has prepared choruses for Robert Cooper, Laurence Cummings, Steven Devine, Robert Franz, Jeanne Lamon, Tania Miller, Michelle Mourre, Joey Pietraroia, and Timothy Vernon. Mr. Wismath began his education in choral music as a chorister in the Toronto Mendelssohn Youth Choir, and after completing a Bachelor of Music at Queen’s University, he received a Master of Music in Choral Conducting from the University of Arizona. As the violist of both the Penderecki string quartets and the Aviv piano quartet, he has performed in many concert halls around the world, including Lincoln Centre in New York, the Louvre in Paris, Tonhalle in Zurich, and numerous concert halls in Europe, Canada, and the United States. In 1985 he was invited to join Isaac Stern and Pinchas Zuckerman to play a gala concert at Carnegie Hall in New York. He was a finalist at the François Shapira competition in Tel Aviv. His awards included the Israel Broadcasting Authority award for chamber music performance and numerous awards and annual scholarships from the American-Israel Cultural Foundation.